Feng Shui is the ancient Chinese art of creating a harmonious, balanced environment. It is believed that with Feng Shui, you can maximize the positive energy in your home, and promote prosperity and good health. It’s not just some trendy Hollywood craze; it’s a very practical and compelling way to design your home. If you are interested in Feng Shui, there are some simple and easy ways to start. You don’t have to overhaul your entire house, just start by focusing on the design of one room at a time. One of the most important aspects of Feng Shui is that you don’t have too much stuff. Eliminating clutter is an easy way to achieve positive energy in your home. Too much stuff can create stress, but an environment with a minimal amount of stuff is more peaceful. Start by getting rid of the things you don’t need, including seldom-used furniture. Stale air can be bad for your health and your Feng Shui. Open your windows whenever possible to allow fresh air to flow freely through you home. Keeping a few live plants in your home adds to the life force of your environment. Plants can be calming and beautiful, and they help purify the air. Water is one of the most important things in life. It keeps living things alive, and it is an ancient symbol of prosperity. 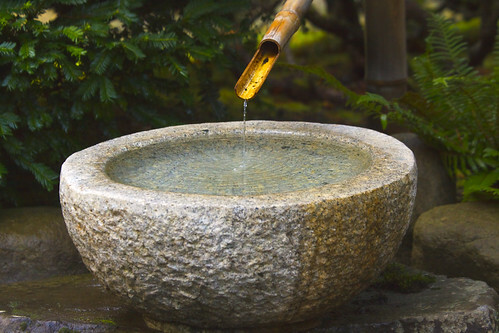 Consider buying a small fountain for your home. The continuously moving water will bring peace and calm to a room. It is well-known that adding a mirror to a room will help open it up and appear larger. It will also bring in light from other areas of your house. A mirror will instantly brighten up your space and increase the positive energy in it. Color is very important in Feng Shui, and you can consider the meanings of different shades when choosing colors for the interior of your home. Green is a color for improving health and family life. Blue is for prosperity and good career growth. Yellow signifies happiness and joy and is often used in the kitchen. White is a good color for inspiring creativity, especially good in an artist’s studio, for example. In your bedroom, choose a color that is a skin tone, such as a shade of white or brown, to promote healthy sleep and rest. When you are selecting artwork or photographs for your home, be mindful of what you choose. You’ll want to select images that reflect the type of environment you want your home to be. Don’t post paintings of people who are sad, for example, or images of destruction. Hang only happy and comforting artwork that reflects the hope you have for your home and family. If you are interested in Feng Shui, you can delve deeper. Many elements of good Feng Shui, for example, are based on the directions of the compass or the time you were born. But for anyone who just wants to promote the positive energy in their home, the guidelines listed above are easy ways to incorporate Feng Shui into your design elements. Terry Ford delivers superior content across the web with a focus in topical and grammatical excellence. She leads the writing team at Grammarly, the most powerful grammarchecker on the Web.